I don’t blame you. 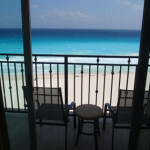 Just imagine your amazing trip to a nice resort overlooking white-sand beaches and blue-green waters of Cancun. Part of your hotel deal are all-inclusive food and yes, FREE drinks. If you haven’t had a vacation in a while, why not make the most of it. Afterall, you are paying for vacation with your huge dental savings. It was going to cost you $20,000 back home in Canada. 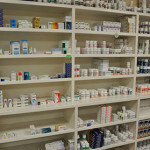 In Mexico, your treatment is only going to cost $5,000. What a deal! But take it easy. Don’t go binge drinking. You don’t want to show up at the dental chair hungover. You also need a healthy immune system for your dental surgery, such as dental implants, sinus lift, or multiple extractions. Just like any other surgical procedure, you need to be in top shape to avoid any complications during your oral surgery and to recover quickly after the oral surgery in Mexico. You can do whale watching during your Mexican dental vacation. Too much to do, too little time. What’s a Mexican dental vacation without tours, water sports, island hopping, theme parks, and historical sites. Avoid booking and pre-paying for local activities before you see your Mexican dentist. Even if you got a preliminary treatment plan from your dentist before you travel (via Xrays), the dental plan can change during the clinical evaluation (when you sit on the dental chair). Set the tours after the dentist establishes your appointment days and times during your dental tourism stay. Besides, you can get better deals locally. 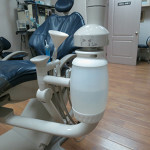 I am sure the dental staff can guide you to find the best Mexican vacation deals. It’s not a good idea to pre-pay for your dental work before you travel to Mexico for your dental vacation. More importantly, don’t agree to pre-pay your entire treatment plan in full after the initial consultation. You should only pay for what’s due. Some Mexico dentists require 100% payment upfront before any dental work is performed. This might lock you into that dentist. What if things aren’t going well or your doctor isn’t what he claims to be. You want to be able to walk away if you feel that something is not going right. Before you fly back home, try your newly installed teeth. If you feel any discomfort, your Mexican dentist can still make adjustments before you leave. Don’t schedule your dental trip too tight. Allow some time to try your dental work before you hop on the flight back home. After you get your final crowns or dentures, go hit the buffet and try them out for a couple of days during your Mexican dental vacation. By doing so, you can have your dentist in Mexico make any necessary adjustments before you fly back. Catch sore spots and uncomfortable areas before you leave. You can save yourself an entire trip back to Mexico for these fine tuning adjustments. Don’t negotiate shortened timeframes for your dental work. Some people shop for dentist that can do their full mouth restorations in one week. A one week time frame is ok for a few crowns or veneers, but not for a full smile makeover. Dentistry requires a step by step process. It requires artistry, patience, engineering, and skilled hands. All these suffer the minute the dentist in Mexico rushes things. He might cut corners to finish your dental care before your flight back home. You might end up with an unethical dentist who would be willing to bypass proper dental protocols to satisfy your timeframe demands. Some dental care require more than one trip to Mexico. Mexico is the best place to have a dental vacation. From cheap resort discounts, white sand beaches, to water activities, you can have the time of your life. However, avoid snorkeling after a dental surgery. If you are just getting dental crowns, porcelain veneers, and fillings, skip this item. You have little restriction other than to show up to your appointments during your Mexico dental vacation. Snorkeling: It’s fun. But your surgery site can pick up an infection from snorkeling. Plus, if you have to dive, the water pressure can cause your surgery site to bleed. Sun tanning: Your inner rebel might be saying, “this one I can’t give up”. You haven’t had sun for 3 months back in Alberta. However, sun tanning causes your body to heat up, blood pressure to go up, and your wound to possibly open. When you have a wound in your mouth, you use ice packs to reduce the swelling. Sun tanning on your Mexican dental vacation would do the opposite effect. Furthermore, some antibiotics that you might be taking after the surgery can cause you to be extra sensitive to the sun. A little bit of sun is ok, but don’t bake yourself until you turn leather. Smoking: Avoid smoking for a certain period after an oral surgery. This rule is important, whether you are getting surgery locally or on your Mexican dental vacation. Soft diet: So much for the grand buffet at your hotel. Well, you can still enjoy the buffet. Just stick to soft diet such as lukewarm soup. No chips and salsa please. Spicy foods: Spicy foods may irritate your surgery site. Soda. Avoid soda, coffee and wine. The composition of these drinks can adversely affect your dental surgery in Mexico. Most practices in Mexico accept only cash. Major treatments, such as multiple teeth implants or full smile makeover, cost several thousand dollars. Although destinations such as Cancun are safe, you still don’t want to be carrying around $5000 in your pocket. Leave it in your hotel locker. At Dayo Dental, you have the option of paying through debit or credit card at the dental facilities without any extra charges. This allows you to avoid having to carry so much cash during your dental vacation in Cancun. Lastly, don’t convert your dollars in pesos. 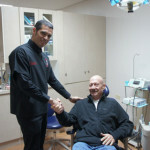 Mexico dental clinics prefer USD. After the initial consultation, request for a written treatment plan, with teeth numbers. Review exactly what type of dental work will be done on each tooth. Know how much is your total financial commitment. For major dental work treatments, give yourself at least a few hours to review your Mexico dentist’s recommendations. Ask for your X-rays before you leave. Review them with your Mexico dentist before you leave. You can use these X-rays to prove / disprove that your dental work was done correctly. 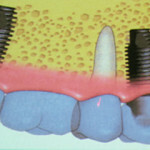 Periaphical x-rays can show if crowns were not sealed properly or if implants have enough bone to hold them in place. Similarly, you’ll need your X-rays to get reimbursements from your American or Canadian dental insurance. If you do your research, you can save thousands and have an amazing Mexican dental vacation. Don’t forget to have a margarita for me as you sit on the beach. Buen viaje!